Starting pitcher Dylan Spence carried a shutout into the eighth inning and reliever Jordan Buster finished it off, helping The Citadel Bulldogs down the VMI Keydets, 5-0, in the opener of a weekend SoCon series Friday night at Gray-Minor Stadium. 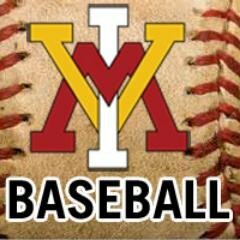 Spence pitched with runners on for much of the evening, as VMI (10-13, 1-3 SoCon) left two runners on base against him on four different occasions, but the Keydets went 0 for 11 with runners in scoring position as Spence made four early runs stand up. Buster entered with two on in the eighth and, around a walk, struck out the side to end the final Keydet rally. Spence (2-2) was the victor, as he gave up six hits and three walks in seven-plus innings, striking out seven. Josh Winder (1-4) allowed five runs on nine hits in 7 1/3 innings. Of The Citadel’s (12-12, 3-1) nine hits against Winder, only three were for extra bases, but two of those drove in three of the Bulldog runs and the other led directly to the run that capped the scoring in the eighth. The Citadel jumped ahead on the second batter of the game, when William Kinney hit a fly ball that got caught in the wind – which was blowing straight out to begin the game – for a solo homer. The Bulldogs then added three more in the third after Spence had stranded two runners each in the first two innings, and the visitors led 4-0 headed to the fourth. That was the score until the eighth inning, when The Citadel tacked on a fifth run on a wild pitch. The Keydets had at least one at-bat with a runner in scoring position in five of the nine innings, but could not find the scoreboard as The Citadel captured the series opener. Offensively, the top five hitters in The Citadel’s lineup all had two hits, as did #7 hitter Andrew Judkins. Peyton Maddox and Jake Huggins had two hits apiece for the Keydets. VMI and The Citadel resume their series Saturday at 2 p.m.